SmartQ T7 3G Open Review. Thoughts. Videos Available. Firmware Update News. The recorded videos from our live, open review with the SmartQ T last night are available and shown below. Ustream have put a pre-roll and ads on them but I guess they have to pay for 2 hours of 500kbps streaming somehow. More info, videos, links for the SmartQ T7 in our tracking page. Adobe Reader very slow. Almost unusable. Will the Market and Google apps be distributed? Stream audio fails on Last.fm and XiiaLive. Market only able to download one app. Further downloads fail to start. 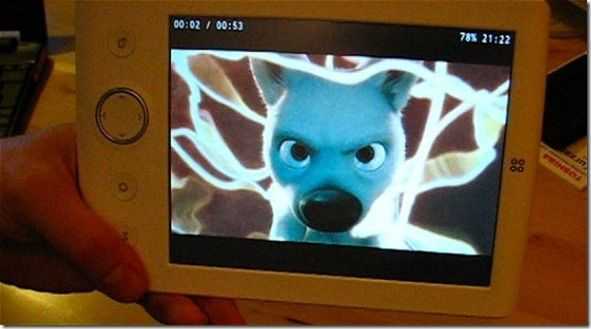 Video playback only works with H.264, will there be accelerated WMV, MPEG2 and Xvid support? 3G software unable to work with PIN-locked SIM cards. Will there be a model with GPS? Cell Standby uses a lot of power when 3G is supposed to be of. On the positive side, we see good build quality for the price, a usable 600-wide portrait mode, excellent value 3G version, loud and clear speaker, good quality controls and a battery life in the 5hrs+ region. Actually we suspect there’s some improvement that could be made to the battery life as we’re seeing the 3G using battery while its supposed to be off. Google Maps and search for local information. Those looking for a very low-cost handheld 3G 7 inch internet tablet (the SmartQ T7 is unique in the sub $300 bracket) a flexible and cheap ereader with internet and multitasking, holiday device (location-based services work through Google’s location services â€“ if available on final firmware) a low-cost SD card reader for photographers. (TX files, edit and share very quickly.) Standard browsing is very slow but Opera Mini works well to improve basic browsing speeds. 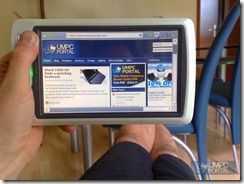 Works well as a social networking tablet. Works well as a bedside companion. Taxi drivers and truckers should check this out too! 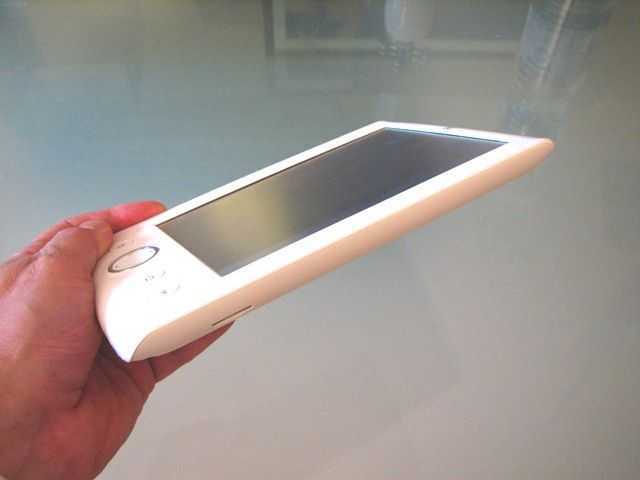 The resistive touchscreen is going to put some people off for sure but for the price and target audience, we think you’ll get used to the resistive screen without any major issues. iSuppli iPad Parts Breakdown is Only Half the Story. It always makes me laugh when I hear about $99 smartbooks competing with netbooks because the only real difference in cost is a few dollars in silicon, plastic and battery. The other thing that makes me laugh is how people get hung up on parts cost and potential profit while forgetting the market reasearch, r&d, marketing, distribution, training, support, legal, insurance, shipping, tax and, shock!, profits associated with a device. Have a look at this isuppli breakdown and you’ll see just how much a high-end smart device costs to make . A high end netbook selling 1m+ is coming in at about$150 due to the cheaper screens and lack of gps, accelerometer, hard drive and other components. The r&d and market research figures are also close to zero in the netbook market so you can see that large format smart devices have a long way to go before they become sub $200 desirable items. Another good checkpoint is the Archos 5 Android Tablet which, with a similar integrated cpu and gpu, smaller battery, 8GB storage, 256MB RAM, less plastic, open source OS and a 5″ resistive touchscreen is being sold for $240. iSuppli breaks down iPad cost, guess how much 3G costs | GottaBeMobile.com. Other News, Uncategorized Comments Off on iSuppli iPad Parts Breakdown is Only Half the Story. 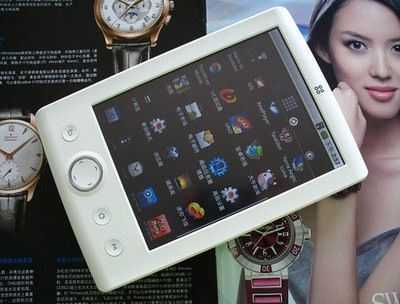 There are many new MID devices being released these days, and it seems that the 7-inch screen size is gaining popularity among the fans of reading on mobile devices. 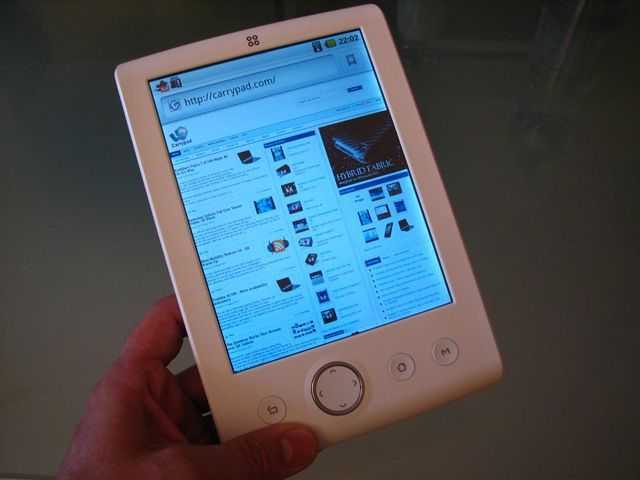 Users looking to read books, comics or work documents have shown great interest in SmartDevices (SmartQ7, SmartV7), WitsTech (A81/W1060), and other 7-inch multi-function MIDs. 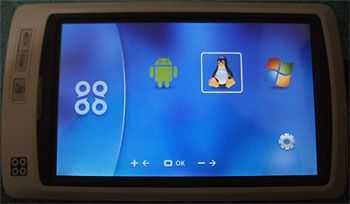 Operating systems available on these devices vary, from Linux to WinCE, with Android being the most sought after. Its a safe bet that the first manufacturer that can release a dependable MID running Android with full Market functionality and a decent price will get a great deal of interest from potential MID users, especially avid readers. So what did SmartDevices do? They decided to release a device that has all three operating systems available. Users can choose which OS to start at boot-time. This 7-inch device also boasts HD video and a new HDMI port. Those of you familiar with the SmartQ7 MID will recognize this device, as the SmartV7 build is almost identical to its older sibling. I have received a review unit from Eletroworld and am working on a new detailed review of the device. Expect a lot of Android coverage in this review, as I put the unit through tests to determine the depth functionality the Android build that comes with the SmartV7 ships with. From initial looks, it seems the Android implementation does not have Market working yet, but expect more details when I finish the review. Has SmartDevices beaten the other manufacturers to the punch? Smart Devices Q5/7 Update. Android, Mer, WinCE, Ubuntu all moving forward. 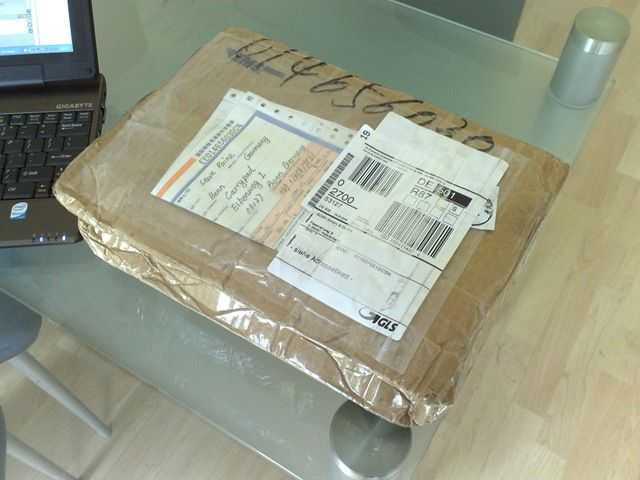 Update: Unboxed, stripped down and tested in over 2hrs of video….HERE. I’ve just got back from a spot of moblogging to find the Smart Q7 waiting for me. I wasn’t expecting it until tomorrow so it’s a nice surprise. 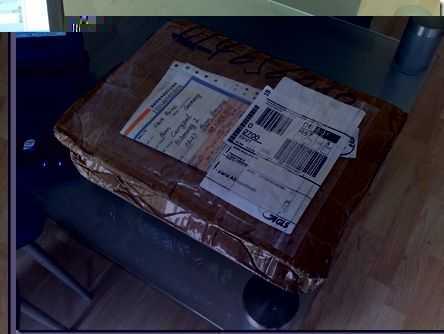 I have a few appointments this afternoon but I’ll get an unboxing video done and try and be around for a LIVE SESSION with video, audio and Q&A at around 2030 CEST. 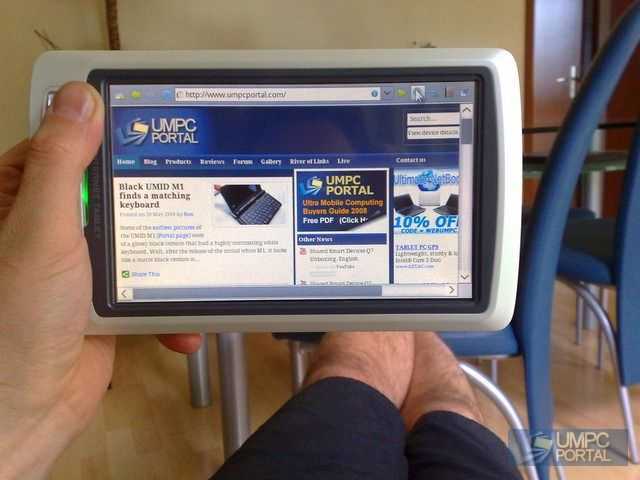 Considering the SmartDevices Q7 isn’t a true ultra mobile PC and it’s going to be a relatively slow browsing device, it’s getting a lot of coverage on UMPCPortal this week. Smart Q5. Product Information now in the Database. I spent a few hours researching and pulling together information on the SmartQ5 this morning and feel more positive about it now than I did a few weeks ago. 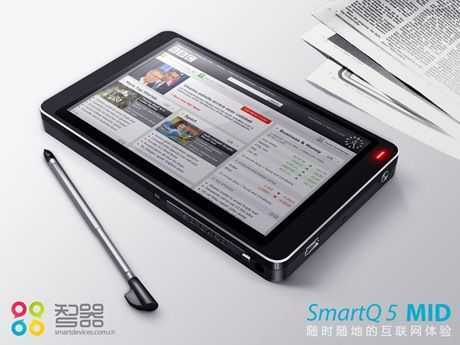 The SmartQ5 looks good and has an amazing price (local price in China â€“ approx $132.) 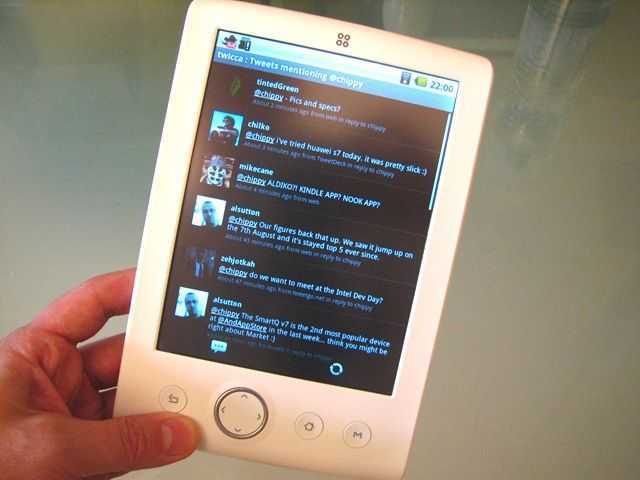 It has a good screen size/resolution and with Ubuntu (ARM), an good supply of software. As a media/internet/e-book reader/photo browser/travel device, there’s definitely a lot of pocketable value there. The 667Mhz ARM11 CPU should make it faster than the Nokia tablet devices and the large 7.5wh battery should keep it running for a long long time between charges. If it was ever available in Europe or US though, you’d be looking at something like $199 which puts it close to the offers that occasionally float around for the N810. (cdw.com have it for $226 as I write) With GPS, keyboard, camera, a healthy user-base and local-country support, the N810 is the better MID option in my eyes but that’s only if you can find an offer. If you see any more interesting content about the SmartQ5, please take the time to submit it ifor inclusion in the database.